Vienna is a wonderful city and in order to not only enjoy your stay at our TAVienna apartments but also make the most of your visit to Vienna, we offer a small overview of what the city offers. We invite you to choose from a plentiful variety, leisure possibilities, concerts, exhibitions, balls, restaurants, shopping streets, and traditional as well as modern coffee houses, heurigen (wine inns/pubs), bars, trendy places, and clubs. To make a apartment reservation please make use of our online booking calendar, write us an e-mail, or simply give us a call. Apartment check-in is possible starting at 2 p.m. We don’t have a 24 hour reception available, hence we request that you inform us concerning your arrival time by e-mail or mobile telephone in order that we can greet you, show you the apartment, and hand you the keys. Our hand-over of keys times are 2 p.m. – 10 p.m. If you wish a hand-over of keys either before 2 p.m. or after 10 p.m., there is charge of € 15.--. The apartment must be vacated by the guest by 10 a.m.
We will charge for and additional night’s stay, if the check out time is not observed without explicit agreement. You will get the keys on the day of arrival directly at the apartment in Vienna. Hence, we request that you inform us of your arrival time, as well as, when possible, your mobile telephone number. We will be there for you at the location. On your way through the city it is best to you the Viennese public transport system, "Wiener Linien". Information can easily be obtained from the Wiener Linien internet site schedule. For detailed travel information to ticket prices, underground lines, city train lines, trams, busses, as well as vantage-tickets "Wien-Karte", we recommend the online travel guide - Vienna. In case of an emergency: the emergency numbers of the city of Vienna and its hospitals in an overview. From the Spanish Riding School (Spanische Hofreitschule) to the Leopold Museum at the Museum Quarter (MQ); from the Albertina Museum the Villa Aurora at the Wilhelminenberg, this city has something on offer for everyone. Comfortably enjoy a Viennese Melange (a traditional Viennese coffee with hot milk) with an apple strudel at the Café Residenz and relax during an enjoyable fiaker (horse carriage) ride through the city centre of Vienna to the Viennese Prater. Book, for instance a sightseeing tour and discover the most important sights within the shortest possible time. Vienna offers an eventful nightlife. Clubs such as the Babenberger Passage at the Viennese Burgring ring-street, the Platzhirsch across from the Viennese Burggarten, the SASS Music Club Vienna at Karlsplatz in Vienna, and the countless Viennese scene-locals at the Gürtel in the city train arches, designed by the Jugendstil architect Otto Wagner, invite us to dance and chill. We invite you to inform yourselves about the above mentioned clubs, parties, and events on Austria’s best Party-page: oe4.com or on Stadtkinder, the event site for Vienna. If you feel like swinging to the local tunes and wish to dance at one of the many balls held in Vienna, we recommend that have a look at the Viennese ball calendar. Vienna entices you to go shopping. In the inner city in the area of the Kaertnerstrasse, the Graben, and the Kohlmarkt an abundance of designer shops, fine shoe shops, fashion- and jewellery stores can be found. From Dolce & Gabbana, Chopard, and Valentino to Prada, Rolex, Breitling etc, while shopping in the Vienna city-centre will find everything your heart desires. Would you like to go shopping beyond the city-centre, we invite you to visit the Mariahilfer Straße. It is Vienna largest shopping boulevard and a flag-ship shopping street. You’ll not only find interesting gifts and souvenirs but certainly the fitting present for your loved ones, as well. In case of unpleasant weather conditions, the shopping centre SCS (Shopping City South) invites you to unlimited shopping enjoyment. The SCS, in Vösendorf, spans more than 330 shops: for fashion, electronic products, jewellery, etc, and one of the largest shopping malls in Europe. Vienna is well known for its history and its culture. By far more than 100 museums and collections on an international level can be found in the capital of Austria. From the Leopold museum with the largest Schiele collection in the world, and the important paintings of Gustav Klimt, to the museums of natural- and art history, over to the Albertina museum, directly behind the National Opera, it is here where the who-is-who in historic and modern art meet. Discover during your visit at the Hofburg (the residence of the Austrian emperors) the imperial apartments, the Sisi museum, and the Silver Chamber, or allow yourself to be enchanted by the “Wiener Rose” (the Rose of Vienna): the Augarten Vienna porcelain manufacturers. Many famous artists, architects, and painters such as Otto Wagner, Hermann Nitsch, Gustav Klimt, Ego Schiele to mention only a few, have lived, lived, and worked in Vienna. Composers such as Wolfgang Amadeus Mozart, Franz Schubert, or Johan Strauss allowed themselves to be inspired by this wonderful city to create masterpieces of composition. The Vienna Boy’s Choir and the Vienna Philharmonic are clearly well known as well and unique. Either in the Musikverein or in the Konzerthaus or the Volksoper—offers in Vienna, for lovers of the classics unique concert experience on the highest international level. In the first district located on the Kaertner ring is the Vienna State Opera. The Opera Hause was the primary building at the ring and was opened on the 25 of May with a premiere of Mozart’s Don Giovanni and is until today on of the most important opera houses in the world. Further information about current concerts, exhibitions, and museums can be obtained for instance at: the Vienna Ticket Office, Concert tickets for the exclusive Mozart festive hall, Viennaconcerts.com, museums with Wien-Karten Vorteil, Kabarett, Musicals, Theater etc. at Wien-Ticket.at. The heuriger is as well known as the Lipizzaner horses, Castle Schoenbrunn, the Fiaker horse carriages, or the Viennese Riesenrad, the real traditional traditionelle Viennese Heurige. The heurige offers its guests a comfortable, homely atmosphere with real Viennese new wine and regional culinary delights and delicacies such as special pork roast or delicious spreads. The heurige in Vienna has a long tradition and connects young and old to a comfortable gathering. From the traditional Viennese city heurigen, for instance Gigerl, in the 1st district or the Zwölf-Apostelkeller, to the original- and noble heurigen in the Viennese districts Grinzing, Neustift am Walde, Severing, Nussdorf or Strammersdorf, due to the proximity of the vineyards to the city a special form of wine consumption has been developed. Inform yourself by having a look at the Viennese Heurigen Calendar about the current “Ausg’steckt” (posted) dates and relax during your wine visit with a glass of young wine and culinary heurigen specialty. The city of Vienna is world famous for its coffee houses. The coffee house is a typical Viennese institution which, until the present, remains an important part of the Viennese tradition. If you ave you booked an apartment vacation in Vienna, you should not miss a visit to a typical Viennese "Kaffeehaus". Relax with a real Viennese “mélange” an a “apfelstrudel” at a typical, traditional Viennese coffee house as for instance Hawelka in the Dorotheergasse in the first district or at Café Central in the Palais Ferstel in the Herrengasse in the first district. Enjoy the Viennese flair at Cafe Daniel Moser on the Rotenturmstrasse, the Cafe Landtmann, at the Burgtheater, the café Dommayer in the Kurkonditorei Oberlaa, at Demel at the Kohlmarkt in the first district, at the Cafe Mozart or the Cafe Alt Wien in the Baeckesstrasse and especially don’t miss the legendary original Sachertorte at the famous Hotel Sacher in the center of Vienna. Take, during your holiday stay in Vienna, simply a little time, take a walk through the streets and discover one of the many coffee houses which our city has to offer. Experience the real Viennese coffee culture, you’ll be exited. The famous Viennese cuisine is the Austrian home cooking for gourmets. From baked chicken to the Wiener schnitzel, goulash, apfelstrudel, bunt cake, or “powidltascherl, the multi-faceted offerings of this culinary plenty lets every enjoyer of fine food’s mouth water. We recommend that you take some time during your visit in Vienna and discover during a stroll in the inner city or at the Viennese Naschmarkt on of the countless restaurants, inns, pubs in the historic emperor’s city of Vienna. Cafe Drechsler, Neni, Deli, Cafe Cortez, Mocca Club, Café Do-An, and may more. 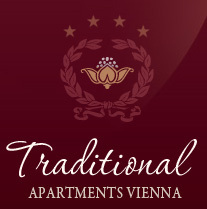 In order to choose a restaurant in the area of the apartment, we recommend the restaurant guide on Vienna Online. Going out in Vienna is always an experience and the countless locals, clubs, and bars of course support this. After a thorough sopping tour or an exhibition visit one of the many bars in the centre of Vienna and allow, with of wonderful glass of wine or a refreshing cocktail, the end of the day to take its course. Enjoy the pleasant atmosphere of the first district with a chilled glass of champagne at, for instance, the Loos Bar (the oldest and smallest bar in Vienna) in a side street of the Kaertnerstrasse, the Skybar – with a view over Vienna old city and the Stephansdom, the Onyx Bar in the Haas Haus or the Kruger‘s Bar. In the summer time, we recommend that you visit the “beach bar” Strandbar Herrmann, in one of the cool Danube Channel places and the viennese city hall square naturally. Enjoy our wonderful city of Vienna and our countless restaurants, pubs, inns, cafes, museums, shopping possibilities, exhibitions, “würstelstand”, fiaker rides, and many more, and we’ll take care of the rest.